Bharatiya Janata Party leader and Rajya Sabha MP Subramanian Swamy on 9 June raised doubts over the release date of Shahid Kapoor-starrer Udta Punjab and alleged that the Aam Aadmi Party (AAP) was making mischievous attempts to boost its chances in next year's state Assembly polls, courtesy the drug abuse highlighted in the film. On Wednesday, the Central Board for Film Certification (CBFC) chief Pahlaj Nihalani had alleged that Anurag Kashyap, the movie's co-producer, took money from AAP to show Punjab in bad light. Swamy told ANI that the timing of this film is wrong as it alleges that the Punjab government is responsible for drug abuse in the state. "Nobody has doubts that drug is a big problem. Who says it started with Akalis? It started with the Congress. This appears to be a mischievous attempt to further the cause of the AAP. 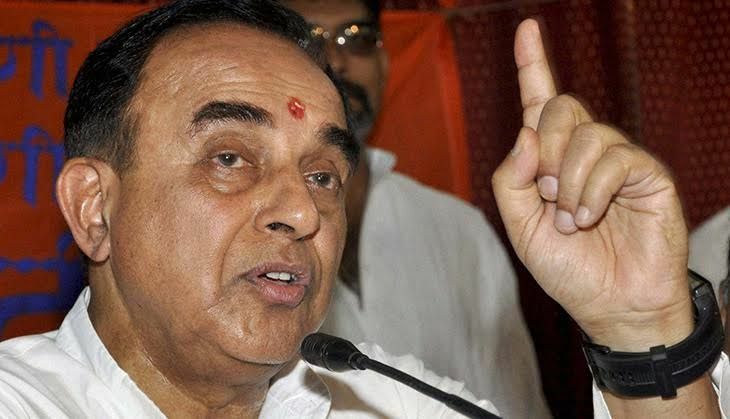 And with the AAP defending itself, that only confirms it," Swamy said. The BJP's Rajya Sabha MP added that there is nothing wrong if the movie is released after the Punjab elections are over. Asserting that the 2017 Punjab elections would be fought on the grounds of rampant drug abuse in the state, AAP had yesterday accused Prime Minister Narendra Modi of having the CBFC chief in his pocket and using him as a pawn to further his chances in the polls by politicising Udta Punjab. "It is our humble request to Modi ji, Jaitley ji and Badal ji that after letting Punjab suffer for 10 years under the influence of drugs, they should stop playing politics with Udta Punjab. Nihalani is launching a tirade of charges on an innocent producer without any proof and he wants him to apologise," AAP leader Ashish Khetan told the media. AAP supremo and Delhi Chief Minister Arvind Kejriwal had earlier held the NDA regime responsible for 89 cuts in Udta Punjab.